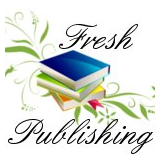 Astrid Nicholls is a professional author and publisher. She lives on the Isle of Wight with her long time partner and their three children. Blogging for Profits is aimed at entrepreneurs looking to start their blogging business. Blogging has long been a hobby for many. With the advances in technologies seen over the past 10 years, blogging has become very easy and an extraordinary opportunity for people looking to start their own business from home, or looking to create a second income through a part-time job. Blogging For Profits aims to show you the ropes of blogging.